This is the best known surviving copy of the great library from All Systems University. It was found in the data banks of the High Guard ship, Andromeda Ascendant, recently returned to duty after being caught in severe time dilation for over 300 years. The ship's captain, Dylan Hunt, has vowed to rebuild the Commonwealth and is beginning by making these detailed records available to any interested parties. This is intended to be a useful, living library although much of the information relates directly to Commonwealth technologies. As the Andromeda Ascendant travels, knowledge that is more pertinent to the turbulent times we are living in will be added. 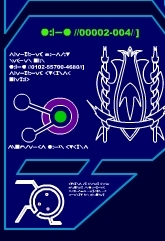 After interfacing with the salvage ship Eureka Maru, the Andromeda Ascendant has used information from its data banks to fill in some of the missing gaps. A Timeline for the intervening years has been pieced together and an excerpt about the Nietzschean betrayal from brilliant Than author Snow Laden Branches has been added to the Literature section. One more thing - you can still access Vedran Empress Sucharitkul XII's moving introduction to the Commonwealth speech in the literature section. Although the Commonwealth is no more, her words should continue to be an inspiration to all.